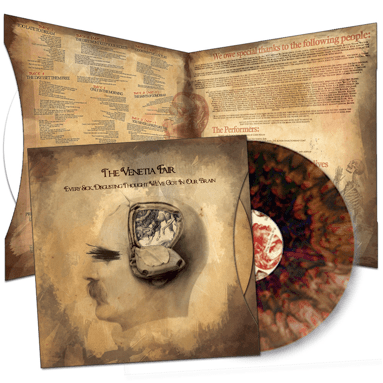 The Venetia Fair’s great album, “Every Sick, Disgusting Thought We’ve Got In Our Brain,” is being released on vinyl and man does it look great. This is going to be a very limited release with only 250 being made available for pre-order. The record itself will be color spattered giving it a unique look and adding to what will already be the best vinyl purchase that you make this year. The Venetia Fair will have their vinyl release show on August 10th in Wareham, MA. They will be playing alongside Vanna, Lions Lions, Our Last Night and more. To order tickets to the show you can get them Here. Order your copy of “Every Sick, Disgusting Thought We’ve Got In Our Brain,” today at their online store.